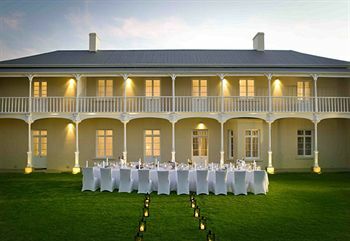 The Dock House Hotel is perfectly located for both business and leisure guests to Cape Town. Learn more about the surrounding oceans at the Two Oceans Aquarium. Enjoy lunch at one of the many fine restaurants in the Cape Town Waterfront before shopping at some of the exclusive designer stores. Take a scenic cable car ride up Table Mountain and enjoy the breathtaking views over Cape Town. Each guestroom is tastefully appointed with non smoking rooms, air conditioning, daily newspaper, television, bathtub, shower, mini bar, balcony/terrace. 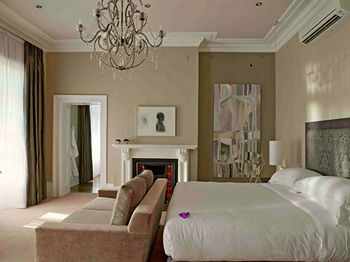 This Cape Town accommodation features on-site facilities such as room service 24hr, executive floor, bar/pub, laundry service/dry cleaning, meeting facilities . 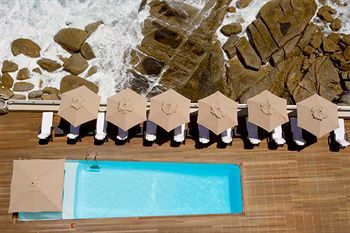 The hotel offers massage, golf course (on site), gym/fitness facilities, sauna, spa, pool outdoor, garden to provide extra pleasure and relaxation for all guests.